Dare to Stand Out from the Crowd with Our 14 Passenger Hyperstretch F250 (Ford Excursion)! Make your every special event even more exceptional and memorable with affordable luxury transportation that we at Exclusive Limousines take pride in. 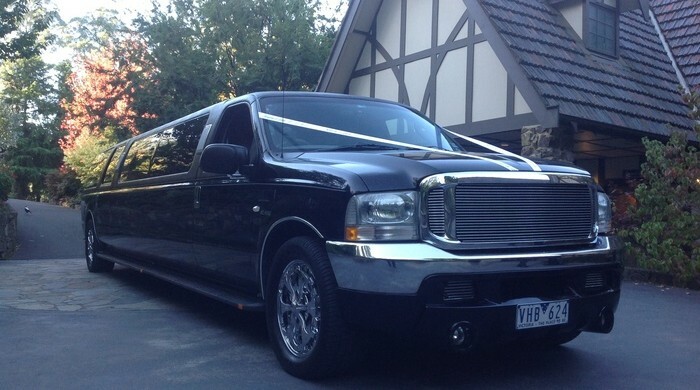 Our 14 passenger Hyperstretch F250 (Ford Excursion) will uncompromisingly transform your special evening or any other special event into a very unforgettable occasion. 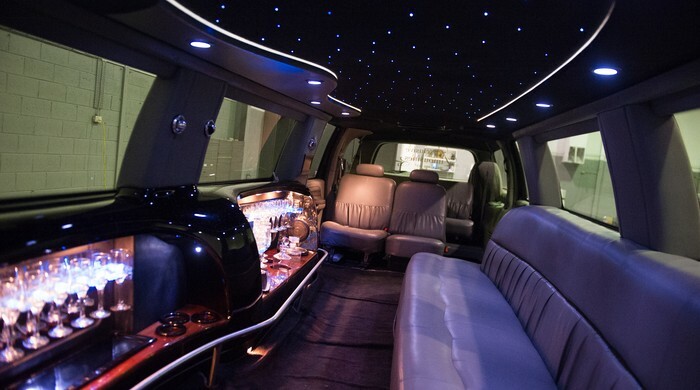 The high tech interior of this luxury limousine provides superior comfort to its passengers. Whether you are heading to the airport, going to a cocktail party or to the wedding of your dream, our first class transportation will surely set your mood and bring you to the venue on time. Not only that, our luxurious limousine is equipped with a professional and licenced chauffer to ensure you with a safe riding experience. We are highly committed to customer satisfaction and we guarantee a dedicated service at a very affordable price. We passionately understand that every special event of your life is meaningful to you. Hence, we strive hard to provide you with luxurious vehicles to complement your very special moment. 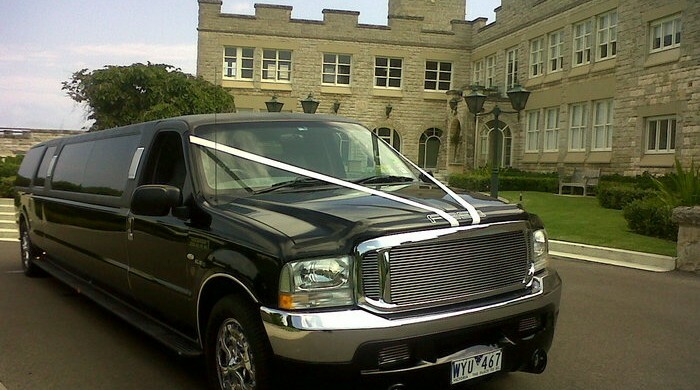 We know that first class transportation can make a big difference on your special day. That’s why we include the 14 passenger Hyperstretch F250 in our range of magnificent luxury vehicles. Book your event today! 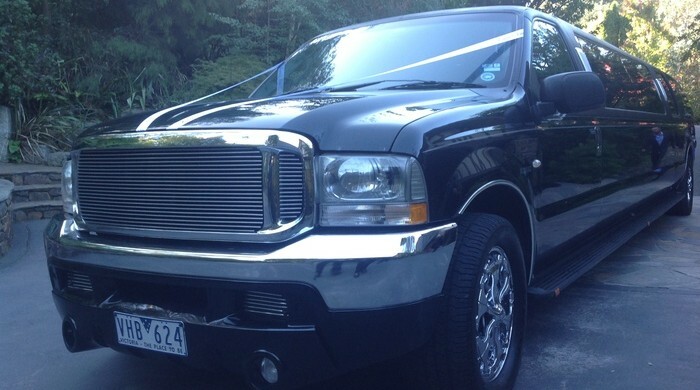 This amazing 14 passenger Hyperstretch F250 (Ford Excursion) is best for all occasions including weddings, school formals, birthdays and anniversaries. It is also perfect for VIP tours like winery tours or shopping tours and transfers such as airport transfers and corporate transfers. 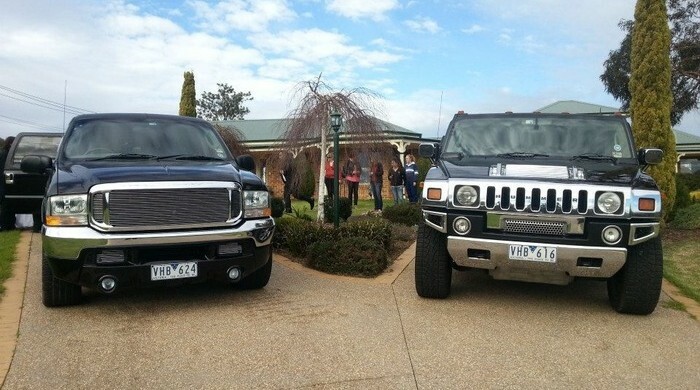 For 14 Seater Limo Hire Melbourne call Exclusive Limousines @ 0428 486 837. We can ensure you the safest and one of a kind transport experience that you won’t find anywhere else in Melbourne. We provide first class and luxurious transport services at very competitive rates.